← Microsoft posts Q1 2016 SLA performance for Office 365. Unsurprisingly, it was good. A quick post to let you know that we have issued an update for the second edition of the “Office 365 for Exchange Professionals” eBook. The updates are now available to those who purchased the PDF/EPUB versions through ExchangeServerPro.com and the Kindle version through Amazon. The updated version is dated 20-May-2016. More information about our update process is available here. These updates contain some corrections and clarifications that were identified during the technical editing process for the third edition together with some additional nuggets that we thought should be included, such as the instructions for tenants who want to move their data into a new Office 365 datacenter region. The introduction of the new datacenters in Canada make this news topical as many Canadian companies might want to move their data from U.S.-located datacenters to Canada to achieve the desired data residency. Note that only “core” Office 365 data can be moved, which means SharePoint Online and Exchange Online data. Some data, such as Sways created through an Office 365 account or the metadata for plans managed through Office 365 Planner (approaching general availability soon) will remain in the U.S. And of course, the Outlook for iOS and Android apps have not yet moved off their intermediate processing that is performed on the Amazon Web Services platform to Azure. That will happen later in 2016. 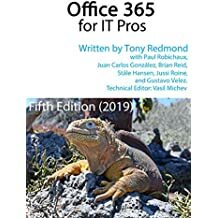 Speaking of the third edition, we are going to take the opportunity presented by this edition to rename the book “Office 365 for IT Pros“. The simple reason is that although we started off by focusing on Exchange Online and helping on-premises admins figure out how to move workload into the cloud, the focus has changed dramatically since we released the first edition on 1 May 2015. The vast majority of the new content we have added covers topics that leverage components drawn from across Office 365, such as Office 365 Groups, or not related to Exchange Online, like Delve Analytics. We have also expanded coverage of SharePoint Online and OneDrive for Business because we believe that these are the natural next steps for an Exchange deployment to take following a mailbox migration. We have so much new content that we have had to enlist the support of a second technical editor to handle the load. Vasil Michev, an Office 365 MVP who is well known to anyone who follows the Office 365 Network on Yammer for the quality of his responses to questions raised there, is doing a great job for us alongside Jeff Guillet, who had sole responsibility for the first and second editions. In any case, the third edition is coming soon. Those who buy books through ExchangeServerPro.com will be offered a very attractive opportunity to update to the third edition following its release. Stay tuned for more news. This entry was posted in Cloud, Delve Analytics, Email, Exchange Online, Office 365, Office 365 Groups, SharePoint Online, Uncategorized and tagged Best Office 365 book ever, Delve Analytics, Exchange Online, Office 365, Office 365 for Exchange Professionals, Office 365 for IT Pros, OneDrive for Business, SharePoint Online. Bookmark the permalink.